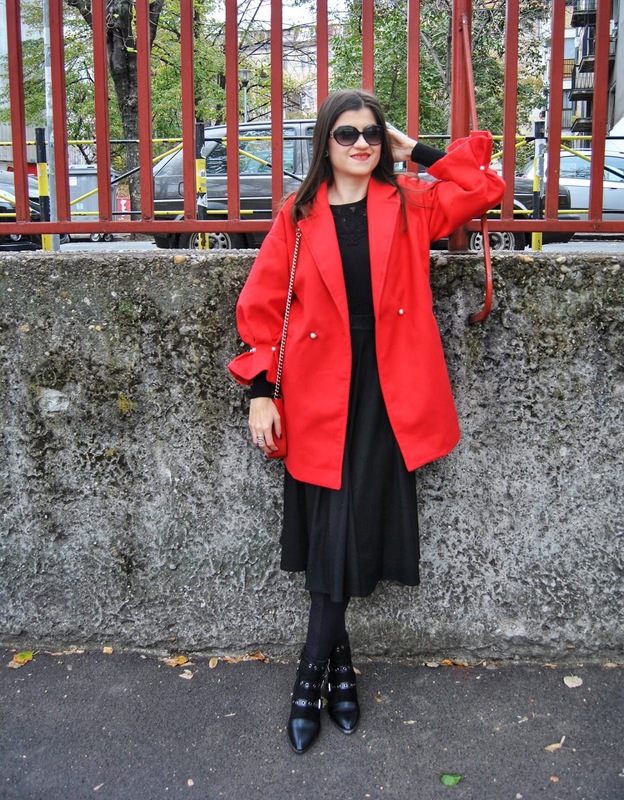 Autumn Season is so inspiriting for mix & match outfit ideas. 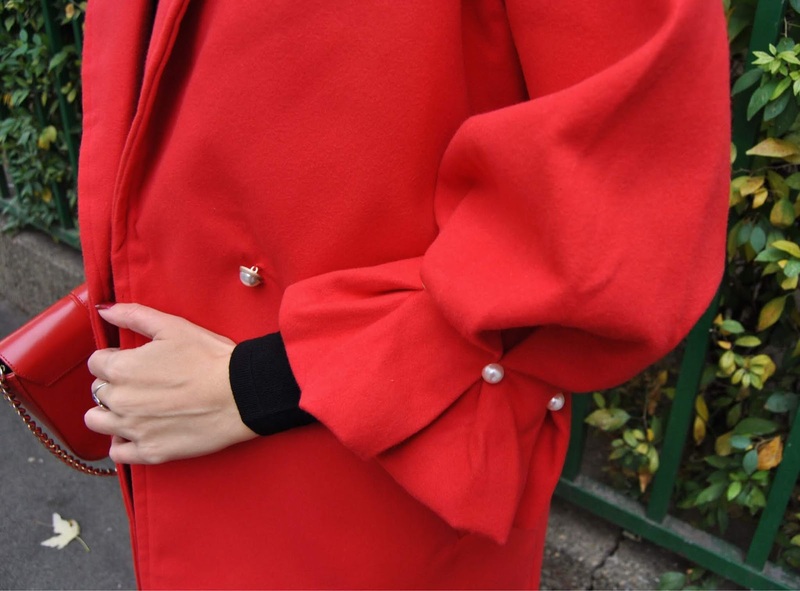 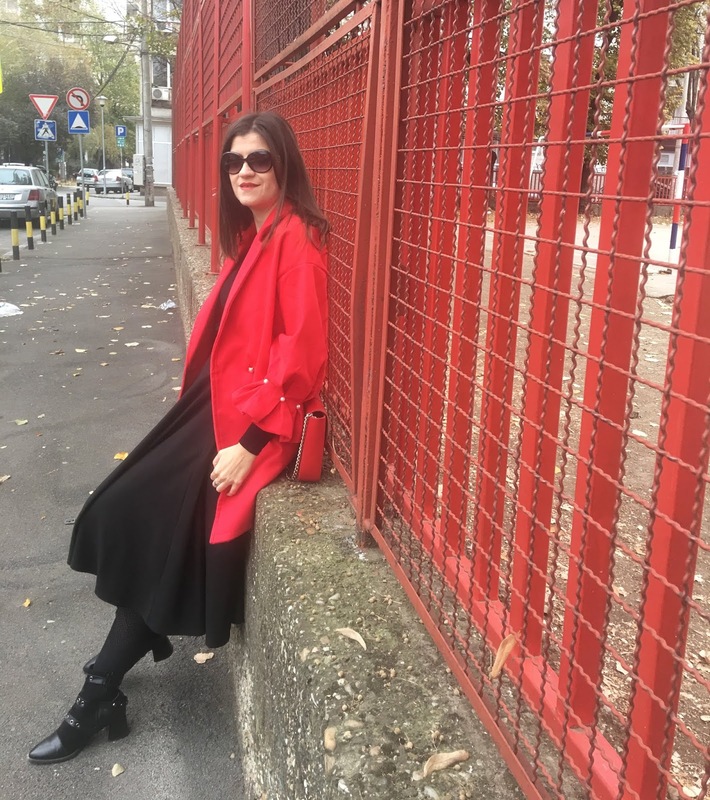 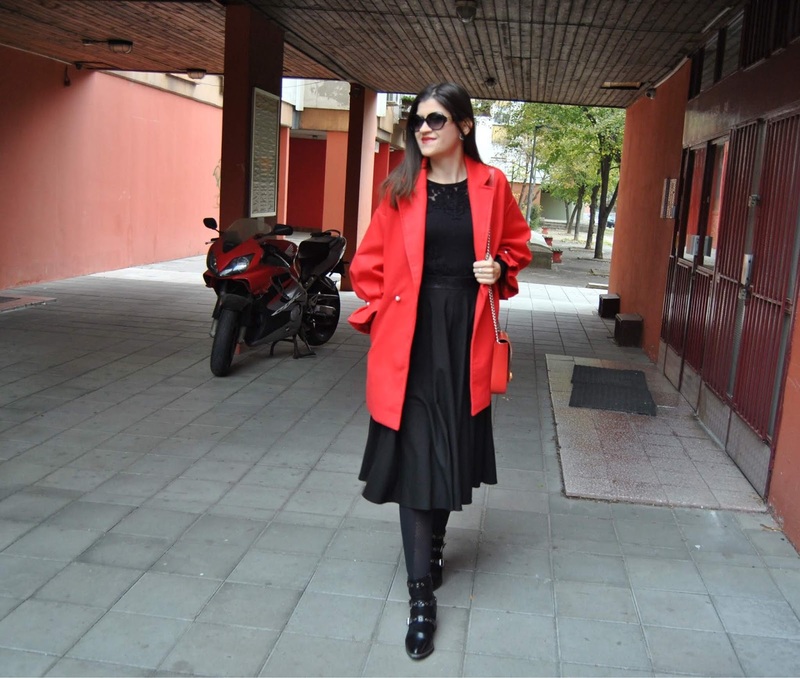 Today's choice is a feminine red & black outfit with stunning red oversized coat with pearl details that I paired with black knitted blouse and midi skirt with elastic waist. 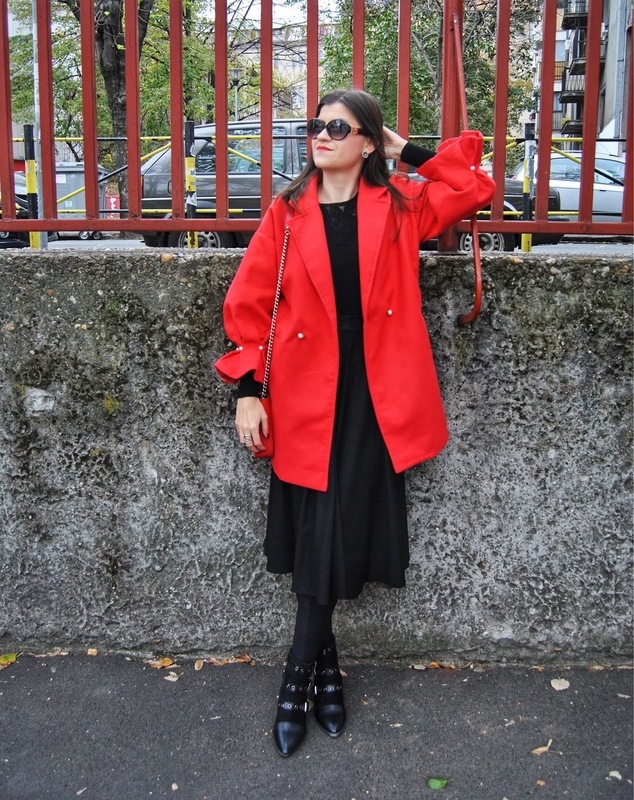 Some chic details such as ankle boots, bright shoulder bag and dark sunnies completed total look.